Dan McKanan is the Ralph Waldo Emerson Unitarian Universalist Association Senior Lecturer at Harvard Divinity School, where he has taught since 2008. He studies religion and radical politics in the United States, with a special emphasis on the contributions of spiritually based intentional communities. His 2007 book, Touching the World, is a comparative study of the Camphill and Catholic Worker movements; The Catholic Worker after Dorothy (2008) explores the historical development of the Catholic Worker movement. Most recently, he has published a general history of religion and the left, Prophetic Encounters: Religion and the American Radical Tradition (2011). Dan’s current research explores the contributions of esoteric and magical traditions to economic cooperation and ecological sustainability, from nineteenth-century utopian socialism to the present. Chris Coates is a 20 year veteran of commune living, editor of Diggers & Dreamers "the communards' bible" and author of the books Utopia Britannica: A history of utopian experiments 1325–1945 (2000 Diggers & Dreamers) and Communes Britannica: A history of Communal Living 1939–2000 (2012 Diggers & Dreamers). Chris is a local councillor for the Green Party in Lancaster and a board member of ICSA. He is UK cohousing pioneer, centrally involved in the development of Lancaster Cohousing, a cutting edge example of ecologically sustainable collaborative housing. Graham Meltzer, PhD has enjoyed a lifelong involvement with intentional communities, having lived two years on Kibbutz, eight years in Australia's largest commune and six years at Findhorn. His doctoral research of cohousing looked specifically at the link between social cohesion and pro-environmental behavioural change. Graham has been on the ICSA board for 10 years. He has worked previously as an architect, academic and photographer, and currently works in the Findhorn community as a designer, project manager and educator. Dr Bill Metcalf, Griffith University, Australia, is a world expert on intentional communities, past president of the ICSA, on the Editorial Board of several refereed academic journals including Communal Societies, and is International Correspondent for Communities magazine. He is the author or editor of seven books plus numerous academic and popular articles about intentional communities. Bill is a long-standing Fellow of the Findhorn Foundation. Ina Meyer-Stoll was one of the founding members of the intentional community and ecovillage ZEGG where she has lived for more than 28 years. She has been executive secretary of GEN-Europe for six years and, since 2004, been involved in Gaia Education. Ina has been a communications trainer and supervisor for 20 years, specialising in building community and creating transparency and trust in group processes. Visit Ina and Achim's website. Timothy Miller, PhD is a Professor of Religious Studies at the University of Kansas, USA. He is a historian of American intentional communities, particularly during the 20th century. Among his books are The Encyclopedic Guide to American Intentional Communities, The Quest for Utopia in Twentieth-Century America, The 60s Communes, and American Communes 1860-1960: A Bibliography. Tim is a long-standing ICSA board member, recognised by the US based Communal Studies Association as a distinguished scholar. Yaakov Oved, PhD has been a member of Kibbutz Palmachim since its establishment in 1949. He is Professor Emeritus in the Department of History, Tel Aviv University. Since 1980, Yaakov has researched communes throughout the world and has published books and articles on the subject in Hebrew, English and Spanish, including the encyclopaedic Two Hundred Years of American Communes (1987). His latest book, Globalisation of Communes: 1950-2010, will be published in 2012. Yaakov was a founding member of the ICSA and served as its executive director from 1985 until 2004. 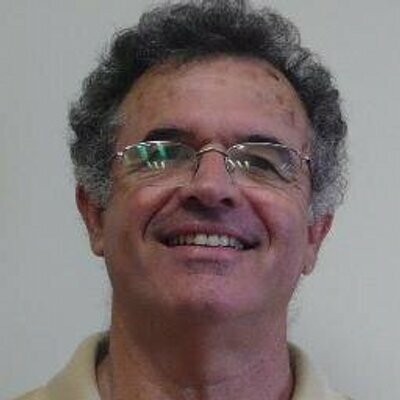 Michal Palgi, a professor and kibbutz member, is the founding head of the graduate program in organizational development and consulting at the Emek Yezreel College in Israel and the head of the Institute for Research of the Kibbutz and the Cooperative Idea at the University of Haifa. She is author of The Paradox in Partnership. Don Pitzer is professor emeritus of history and director emeritus of the Center for Communal Studies at the University of Southern Indiana in Evansville. He graduated from Whittenburg University in humanities, earned his master’s and Ph.D. degrees in history from Ohio State University, and was a scholar- in- residence at Harvard. For more than forty-five years the springboard for Dr. Pitzer’s research in the field of communal utopias has been the early nineteenth-century Harmonist and Owenite communities at New Harmony, Indiana. He has taught, lectured, and published internationally on New Harmony, communal history, and his theory of ‘developmental communalism’. He is a founder and first president of the Communal Studies Association and the International Communal Studies Association. Ms. Yona Prital is Head of Yad Tabenkin Research and Documentation Center of the United Kibbutz Movement. She is a past recipient of the Excellency Award from the Jewish Agency and was the Central Shlicha for Habonim Dror North America; For twelve years, Yona was the Head of the Kibbutz Movement Education Department where she was the Kibbutz representative for the Labor Party (Israel). For the last Israeli parliamentary elections, Yona was a candidate on the Labor Party list. She lives in Kibbutz Maale Hachamisha. Max Stanton is a former Brigham Young University professor who has studied Hutterite communities since the 1980s and co-authored a book on the group. Menachem Topel, PhD is a member of Kibbutz Mefalsim and a senior lecturer at Ashkelon Academic College and Sapir Academic College. He is Head of the Social Studies Department at Yad Tabenkin, the Kibbutz research institute. His latest publications in English are papers on kibbutz elite and kibbutz transformation, as are his books in Hebrew: The New Managers; The Kibbutz on Paths Apart (with Ben-Rafael) and Kibbutz - Survival at risk (Ben-Rafael with Topel, Getz and Abrahami). He is also co-editor of the book The Communal Idea in the 21st. Century (2012, Leiden and Boston, Brill Pub.). Anton Marks is the former general secretary of the International Communes Desk, and former editor of its Hebrew and English publications KOL and C.A.L.L. respectively. Anton lives in the communal group Kvutsat Yovel, which he was part of establishing over 15 years ago. Today, Kvutsat Yovel is part of the largest urban kibbutz in the world, Kibbutz Mishol, situated in Nazareth Illit in the north of Israel, and whose total membership numbers 80 adults and 50 children. Gabe was born and raised in Australia where he grew up on the west coast in the world's most isolated city -- Perth. After graduating high school he spent a year volunteering in Israel. There he was inspired by the pioneering spirit of collectivism that characterised the country's early years and by those working to revive the once-great communal way of life. In 2010 he returned to Israel, this time for good. After five years as part of an educators' cooperative in Haifa, Gabe now lives in an urban kibbutz in Akko. When he is not editing C.A.L.L magazine, Gabe runs the Akko Advot Center -- a community education center working to promote grass roots democracy and shared existence among Akko's Jewish and Arab populations. Amy Hart is a PhD student in History at UC Santa Cruz. She researches the women who joined Fourierist communities across the United States, focusing on their political engagement and social activism both during and after their involvement in community. She is also interested in communal movements of California, and has written on the Dunite community, Allensworth, Ananda Ashrama, and Halcyon. She resides in a small intentional community located outside of San Luis Obispo, California, called the Lavra. Dr. Stephen Lloyd-Moffett is an internationally known Religious Studies scholar and Professor in the Religious Studies Program at Cal Poly. He is the author of numerous articles and essays as well as Beauty for Ashes: The Spiritual Transformation of a Modern Greek Community (St. Vladimir’s Seminary Press) and the forthcoming The Soul of Wine: Finding Religion in the Fruit of the Vine. Professor Lloyd-Moffett holds a B.A. in Economics and Film Studies from Claremont McKenna College, a Master of Theology degree from St. Vladimir’s Orthodox Theological Seminary, and a Master of Arts and Ph.D. in Religious Studies from University of California, Santa Barbara. Among his awards is the Cal Poly College of Liberal Arts teaching award, the President’s Community Service Award, and the San Luis Obispo Top Twenty Under Forty award. He co-founded The Lavra, an intentional community in San Luis Obispo County. Taisa Mattos works as a trainer, consultant and researcher on various topics related to sustainability, social innovations and community life. Ecovillage researcher. Master´s on Psychosociology of Communities and Social Ecology at EICOS Program / UFRJ - Federal University of Rio de Janeiro. GEN (Global Ecovillage Network) Ambassador in Brazil. CASA Brazil (Consejo de Asentamientos Sustentables de America Latina) council member. Professor at the Post Graduation Program on Pedagogy of Cooperation and Social Methodologies (UNIP / Projeto Cooperação). Instructor and Coordinator of many EDEs (Ecovillage Design Education Programs / Gaia Education) around Brazil, since 2009, also in Argentina, Portugal and Mozambique. Part of GEN International Academic Research and Education Working Groups. Co-founder of Terra Una Ecovillage (MG, Brazil). Part of the Transition Towns Movement in Rio. Anne is a Scientific Assistant at the University of Siegen. Her PhD project explored political structure, conflict and power in an Ecovillage. She studied Social Science and Anthropology in Siegen, Colone and Amiens and in 2012 she studied about egalitarian hunter-gatherer groups (Khoi-San) in Namibia. Since 2012 she has worked in the University of Siegen in various projects and positions. Information about Tony is coming soon. Michael Luxford, a co-worker of the Camphill Movement for over forty years, has written/edited five books; the last, titled A Sense for Community, involved research of forty Camphill communities, world-wide. Michael is involved in adult education, retreats and other group facilitation processes, community management, horticulture, festival presentations, social research to strengthen the understanding of what it means to be a Camphill co-worker and how Camphill has dealt with money in communities. Dr Michael Livni was born in Vienna (in 1935) but grew up in Vancouver, Canada. He graduated as an M.D. in 1959 with a doctorate in Social Psychiatry. Michael has been a kibbutz member since 1963. In 1986 he moved to Kibbutz Lotan, an ecological kibbutz in Israel’s far South. He has worked in agriculture, economics and education – particularly, education in the youth movement. Latterly, his interests focus on the interface between kibbutz, Judaism and ecology. He is an active member of ICSA, having presented at many conferences. David Leach is Associate Professor and Director of the Professional Writing and the Technology & Society programs at the University of Victoria, Canada. He is a magazine writer and editor, with a focus on ecological travel and the arts. David once lived on Kibbutz Shamir and is currently finishing a book, tentatively titled Look Back to Galilee: Stumbling Toward Utopia in a Divided Land. Iris Kunze, PhD has been a social researcher at the University of Life Sciences, Vienna, since 2011. From 2001, after living several years in two intentional communities, she researched and taught about intentional communities and sustainable ways of living at the University of Münster, Germany. As one of the European academic experts on ecovillages and intentional communities she received the Donald Durnbugh Award from the Communal Studies Association (CSA) in 2011. Yossi Katz, PhD is a professor in the Department of Geography at the Bar Ilan University, Israel. He is a historical geographer whose research interests include settlement process and land ownership in Israel and ethnic settlements in Canada. He is the Chairperson of The Chair for the Study of the History and Activities of the Jewish National Fund (K.K.L.). He is also the Chairperson of Bar Ilan University press. Christoph Hanni, born 1959 in Switzerland, has been living for thirty years in the original Camphill community in Aberdeen working with children and adults with special needs. He is a trustee of the Karl König Archive and a founder member of the Karl König Institute. Daniel Greenberg, PhD is Founder of Living Routes, which partners with UMass, Amherst to offer study abroad programmes based in Findhorn, Auroville and other 'ecovillages' around the world. An internationally renowned sustainability educator and lecturer, Daniel was a co-founder of Gaia Education and the Green Passport programme and has been a catalyst for greening the field of international education through chairing Task Forces for NAFSA and The Forum on Education Abroad. Daniel lives in the Sirius Community, Massachusetts. Dr. Shlomo Getz is a researcher at the Institute for the Research of the Kibbutz at the University of Haifa and senior lecturer at the Academic College of Emek Jezreel. He is a member of Kibbutz Gadot. Dr Peter Forster is a Senior Lecturer and Course Leader in Psychology at the University of Worcester in the United Kingdom. He is an Associate Fellow of the British Psychological Society; a current member of the Australian Psychological Society, a past Chairman of their Northern Territory Branch; and a Fellow of the Higher Education Academy. He was a founder member of Fiji’s National Committee on the Prevention of Suicide. He researches and teaches in the fields of counselling and clinical psychology, and also the psychology of virtual communities. Peter lived for several years at the Findhorn Community in Scotland. In his spare time he is a scuba diving instructor and photographer. Yuval Dror, PhD is a Professor in the School of Education, Tel-Aviv University. He researches the history of Israeli education (mainly kibbutz education) and all types of new-progressive and social-moral education. Yuval has written and edited 13 books, among them The History of Kibbutz Education: Practice into Theory (2001) and Communal Groups in Israel (2008). From 1970-2001, he was a member of Kibbutz Hamadia and since 2001, a member in the 'community neighbourhood' of kibbutz Kfar-Ruppin. Yuval is an ICSA board member. Pearl Bartelt became a Senior Fellow at the Association of American Colleges and Universities (AAC&U) in January 2010. She is currently working on the Roadmap Project, a grant-funded initiative involving community colleges. Previously, she served Edinboro University of Pennsylvania as Provost and Vice President for Academic Affairs from January 2005 until her retirement in January 2010. 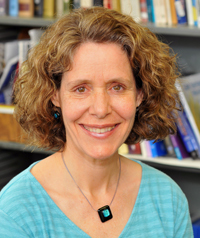 Dr. Bartelt began her career at the collegiate level as an assistant professor at the Community College of Philadelphia and later moved to Glassboro State College (now Rowan University) in New Jersey, where she held positions as assistant, associate, and full professor. Dr. Bartelt was appointed dean of liberal arts and sciences at Rowan University in 1991 after serving as president of the College Senate. She became vice president for academic affairs at Central Connecticut State University in 1999 and provost in 2001 before joining AAC&U as a Senior Fellow from 2003-2004. She also served as a visiting senior research fellow at England’s University of Surrey from 1985 to 1986. She has been a board member of the American Congress of Academic Deans and of the International Communal Studies Association, which she previously served as president. She has been president of the Pitman, New Jersey, Board of Education and is now a board member of the Ardmore, Pennsylvania, Public Library. Dr. Bartelt’s scholarship has been in the areas of Communal Studies and Higher Education. She was educated at The Ohio State University, where she received a B.S. degree in education and M.A. and Ph.D. degrees in sociology. Jan Martin Bang is a qualified Permaculture Designer and teacher. He was born in Oslo, Norway and grew up in England where he studied archaeology, geography, philosophy, education and agriculture. He was active in the English Cooperative and Trade Union Movements in the 1970’s. He moved to Israel in 1984 and was a kibbutz member for 16 years. Since 1993 he worked on environmental projects within the Kibbutz Movement. He represented the “Global Ecovillage Network” in Israel, and helped build up the Israel Permaculture Group, teaching the first Permaculture Design Courses in Hebrew. His work took him on extensive travels within the region, visiting ecovillages and teaching courses in Egypt, Turkey, Cyprus and the Palestinian areas. He was a co-worker at Camphill Solborg in Norway for 7 years, where he had domestic and administrative responsibilities. He has been co-editor of “Landsbyliv” (Village Life), the Norwegian Camphill magazine, for the last six years. 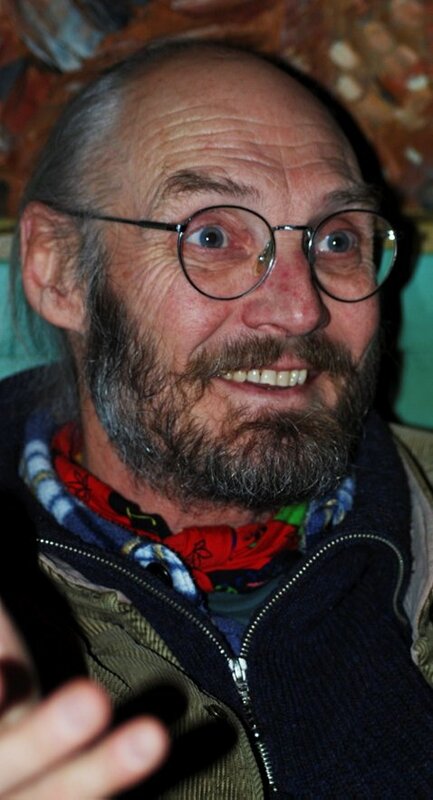 He was secretary of the Norwegian Permaculture Association, and has been active within the Norwegian Ecovillage Trust. He received the Permaculture Diploma in the fields of Education and Community Development from the Nordic Permaculture Institute in 2006. He has written a book on Permaculture Ecovillage Design published by Floris Books in 2005, called “Ecovillages – a practical guide to sustainable communities”. A second book, “Growing Eco Communities – practical ways to create sustainability” was published by Floris Books in 2007. “Sakhnin – a portrait of an environmental peace project in Israel” and “The Hidden Seed – the story of the Camphill Bible Evening” were both published in 2009. He has just edited “A Portrait of Camphill” to be published this summer to coincide with the 70th anniversary of Camphill. He is currently working on several books about community and environment. He has been connected to the International Communal Studies Association since its founding conference in 1985, and in 2010 was elected President of the Association. Dr. Deborah Altus is a professor. She holds a Ph.D. in psychology (with a focus in behavior analysis) and completed a postdoctoral fellowship in Gerontology. She worked as a Gerontological researcher for nearly 10 years, serving as an assistant research professor at the University of Kansas and as an associate professor at Kansas State University before joining the Washburn faculty in 2000. Her main interests are in aging and mental health (dementia care) and group living arrangements (e.g., co-ops, CoHousing, intergenerational home-sharing, communal living). She has also studied postpartum depression and served as the Kansas Coordinator for Postpartum Support International. Dr. Altus is a Fellow of the Gerontological Society of America, former President of the national Communal Studies Association, board member of the International Communal Studies Association, and former treasurer of the Behavioral Gerontology interest group of the Association for Behavior Analysis. She has also served on a number of state-wide organizations including the Kansas Arthritis Steering Committee, the Kansas Elder Count committee, the Kansas Mental Health and Aging committee, as co-chair of the public engagement task force for the Kansas Living Initiatives for End-of-Life Care Project, as an advisory board member for the Center on Aging at Kansas State University and community advisory board member for the Center on Aging at KU Medical Center. She is an editorial board member for the journal Communal Societies, and for Communities, Journal of Cooperative Living, and has served as a reviewer for a variety of scholarly journals, presses and granting agencies. She has authored numerous journal articles and chapters in the areas of Gerontology, Behavior Analysis, and Communal Living, and is widely known as an authority on intentional communities inspired by B. F. Skinner's novel, Walden Two. Please feel free to contact her by e-mail at or by phone at (785) 670-1951.